Rabat - Renault Morocco celebrated the export of its millionth vehicle manufactured in its Moroccan factories on Tuesday, June 6, at the Tangier Med Port. 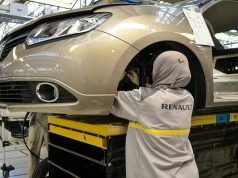 Rabat – Renault Morocco celebrated the export of its millionth vehicle manufactured in its Moroccan factories on Tuesday, June 6, at the Tangier Med Port. The ceremony took place on the vehicle terminal dedicated to Port Tanger Med, in the presence of Moulay Hafid Elalamy, Minister of Industry, Trade, Investment and Digital Economy; Abdelkader Amara, Minister of Equipment, Transport, Logistics and Water; Fouad Brini, President of Tanger Med and Marc Nassif, Managing Director of Renault Maroc Group. The Ecosystem Renault currently being developed is at the heart of the performance of the Moroccan automotive industry, Elalamy stressed, mentioning that by 2023, the industry is predicting the realization of an investment budget of EUR 868 million, the creation of 50,000 new direct jobs, the purchases of EUR 1.5 billion worth of automotive parts manufactured in Morocco, EUR 2 billion in term and a 65 percent local integration. 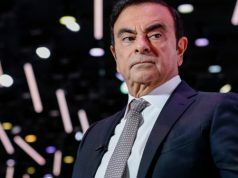 This good performance is the result of a well-thought-out strategy to make the automotive industry a true locomotive of the Moroccan economy, as well as a collective work on infrastructure, financial engineering and technologies transfer, and mutual trust between Morocco and the Renault group, said Amara. “We are now visible on international radars in the automotive industry. 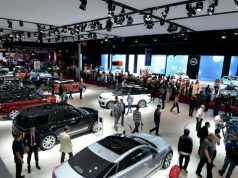 In the coming years, we need to forge to increase local integration in order to be not only a host country but a stakeholder in this sector,” said Amara during the ceremony, pointing out that the country is on “a good tangent” to have other manufacturers in order to consolidate the Moroccan automotive industry. 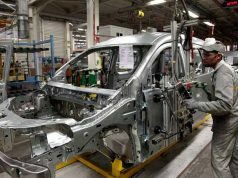 The Tanger Med Agency (TMSA) has stated that since 2007, the Renault Group Morocco has started exporting vehicles manufactured at the Casablanca-Somaca plant and has thus begun promoting the “Automotive made in Morocco” on an international level. The Group’s industrial structure in Morocco has taken a major turn with the construction of the Tangier plant. In 2012, the first vehicles manufactured in Tangier were exported from Tanger Med Port, the same source added. This partnership now leads to a joint celebration of this great performance. 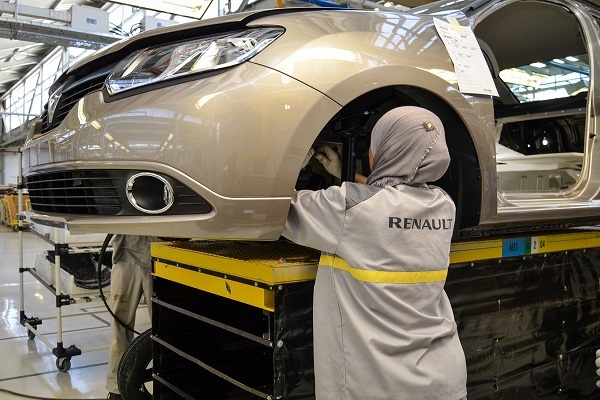 Morocco plays a key role in the Renault Group’s global industrial system. With the export of more than 95% of the production of the Tanger factory and more than 70 percent of the Casablanca factory’s production, originally reserved for supplying the local market, the vehicles “Made in Morocco” represent more than 10 percent of the Group’s worldwide sales, Tanger Med notes. Today, Moroccan production is exported to more than 73 destinations worldwide, mainly in Europe and countries that are signatories of the Agadir and Arab League agreements, with the development of new maritime lines from the Tanger Med Port in particular towards the West Indies and the countries of the Gulf Cooperation Council. Tanger Med is now a real logistics and industrial hub with nearly 800 ha of areas dedicated to the automotive industry, a well-established supplier base, a logistics platform for exporting parts and infrastructure for vehicles exporting whose dedicated terminal will see its capacity strengthened by the construction of new car parks, said the same source. 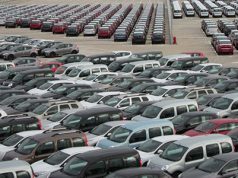 Since 2012, 1 million vehicles manufactured by the Renault Group in Morocco have been exported from the port, representing 1,560 ships and 4,268 trains from the Tangier plant, and 19,000 trucks from the Casablanca plant, details TMSA. The Renault Group also exports parts manufactured in Moroccan factories to other Group production units in India, Romania, Argentina, Brazil and Colombia. More than 195,600 m3 of parts produced by factories and suppliers in Morocco have been sent to the Group’s factories internationally since the beginning of this activity in 2013, TMSA said.